What makes an affiliate site profitable? So many are struggling to make money with their affiliate sites. I see so many working hard, spending a lot of time on their site. 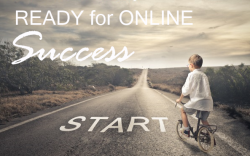 Some of it is patience, a profitable affiliate site will not pop up overnight, but there are a few more things you can do to make sure your site will be profitable. What sets a non-profitable affiliate site apart from a site bringing in the money? It’s true that you can make money with pretty much any niche out there. It’s also true that you have better chances of succeeding if you pick a niche that you have an interest in. You do want to pick a niche that is evergreen though and will be around for a while. Some niches come and go, pick something that will be lasting. If you created a niche site around iPhone 4s, then it’s probably slowing down by now. If you create a site around all the iPhone or Apple products or maybe even smartphones in general, the site can grow with the new products coming out. That’s a better long-term plan, that will allow your site to flourish. If you go with a niche within these main groups that are evergreen, then you have a good chance of a profitable affiliate site. 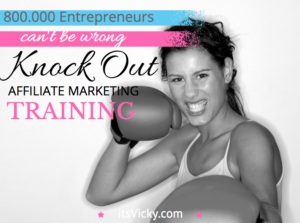 Read more – Niche Ideas for Beginner Marketers. For the reader to stay and actually read your content, you need to have an approachable site that clearly states what the site is about. The site should be easy on the eye – there’s a reason why most use black text on white background. It works. It’s easy to read. I must say that if I land on a green page with orange text I will most likely just click away. You also want your site to be easy to navigate, with clear menus and categories. Make sure your visitor, get a clear picture of what your site is about as soon as they land on the page. Does your site name explain what the site is about? If not, make sure you add a tag line or image that clarifies the message of the site. If you have a site about dog toys. Make sure there is a picture of a dog playing with a toy or a picture of you and your dog, to make your message clear. If you provide in-depth, engaging and helpful information for your visitors they will stay and read your content. 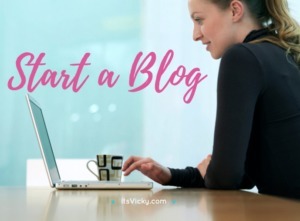 You only have a few seconds to catch the attention of your reader so make sure your title and intro is engaging and informative. If your visitor finds the information, whatever that might be, that they are looking for delivered in an approachable way they will stay and continue reading. The first step to content that converts is the helpful content that we talked about above. The second thing you want to make sure you have with your site is trust. 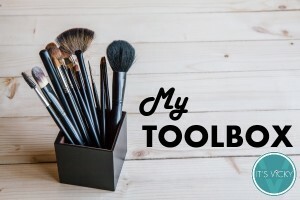 Say that you do product reviews, but you are very “salesy” this is the best product… buy this… you will not find anything better than this… It’s not very likely that anybody will trust a review like that. Instead outline the good and the bad, the pros and cons. How it can benefit the reader, who should purchase the product and who should look for something else. An honest objective review will create trust and convert a lot better than a biased one. There are different kind of content that convert well, we just talked about product reviews. 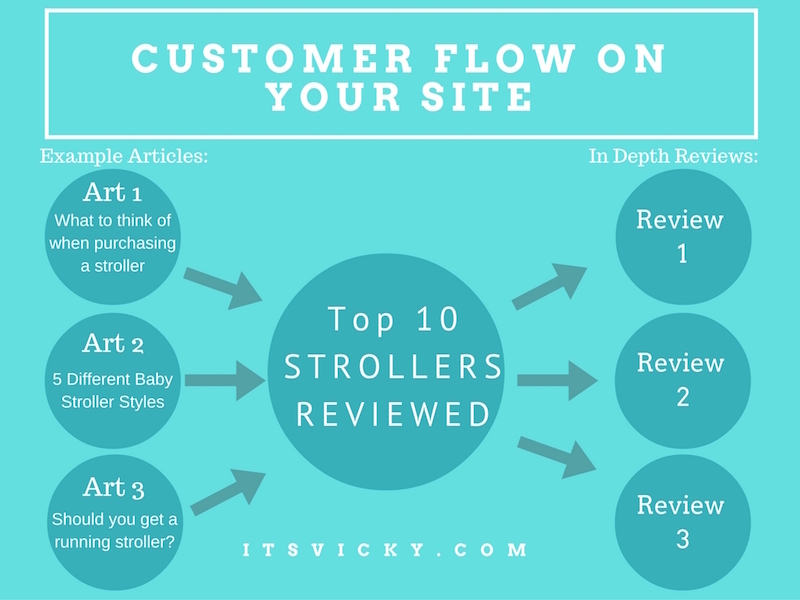 Another type of content would be lists, “Top 5 shavers” or “Top 10 strollers”, for example. A great way to funnel your readers through your site is to set up general information that points to a Top list that links to an in-depth review. Let me give you an example. This’s an example of 3 articles pointing to that list, you can, of course, have however many you would like. For some lists, I have probably 50 or more articles pointing to the top 10 list. A lot of affiliate marketers rely on traffic from organic listings in Google, Yahoo, Bing and other search engines. To be able to rank you want to SEO, search engine optimize, your content. There are certain things you can do to help the search engines find and rank your content. One of the most common ways is to use relevant keywords within your content. Using keywords help the search engines find your content and list it under relevant phrases. This is a great long-term strategy, you can read more about how to find great keywords, here. Linking within your site, like the image above show is another good way to optimize your content. Linking to certain content pieces on your site shows Google that, that specific page is important. There are many ways to use SEO on your site and off your site, here are some more SEO tips. What makes your site different than all the rest out there in the same niche? Why should the visitors come to you and not your competing affiliate sites? Is it because your content is better? Is it because the layout of your site is different and easier to navigate? Is it because you provide something that nobody else does? WHY should the visitor come through your site and not somebody else’s? Know that and emphasize it, use it to your advantage. Starting out you will most likely focus on a few products and a few merchants for your affiliate marketing campaign. Down the road when you have more traffic, more visitors, what will expanding your site look like? Is there growth potential? How can you add more income streams? Can you add other products? Other product lines? Can you sell advertising space on your site? Have a growth plan in place to make your affiliate site profitable. I started out this post by mentioning patience and I will end with mentioning patience. Growing an affiliate site organically takes time. Having the right expectations is very important. Know that success does not happen overnight. Know that it will take time to grow your site. 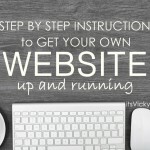 Know that you will have to grow and learn with the site. As long as you keep learning and implementing what you learn, you are on the right track. Follow these steps above and you are on the right track to making your site profitable. The only thing that can stop you is giving up if this is what you want to do. If you want to make your site profitable, implement, adjust and keep growing. I do a case study on an Amazon site, you can follow the growth and see that things gradually improved. It’s real numbers and stats from a real site. It’s a profitable affiliate site monetized with Amazon. 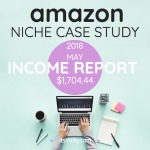 I give monthly stats and income reports, check the latest income report here! 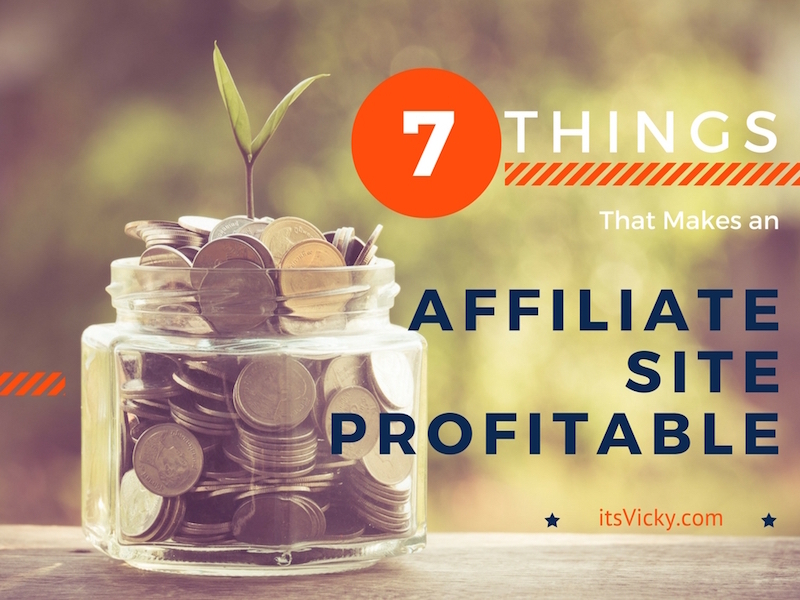 That was 7 Things That Makes an Affiliate Site Profitable, hope you enjoyed it. Want more tips and ideas on how to make an affiliate site profitable? 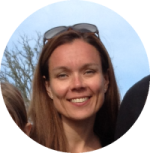 Thanks again for sharing your insite Vicky, always interesting and knowledgeable. You’ll get there with hard work and perseverance! 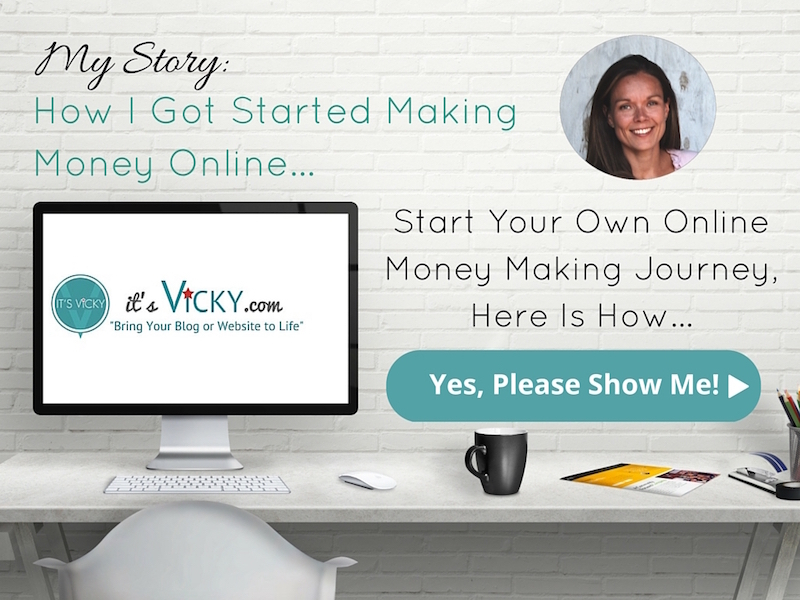 So many great tips here Vicky – thanks for sharing your experience. I will save this and return to it again and again.